The following was taken from the Article Natural Color Demand Is Especially High in These Food and Beverage Markets on Nutritional Outlook. 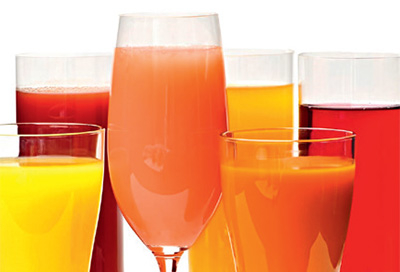 It’s one of the first things consumers notice about a food or beverage product: color. But with clean-label demand spreading across the market, colors are increasingly about more than just what meets the eye. Natural colors are now a purchasing priority for an enormous chunk of the U.S. consumer base, and brands big and small are taking notice. In a 2016 online survey conducted by the International Food Information Council, 31% of U.S. consumers said they were trying to consume more products made with natural colors, while 43% said they were trying to limit or avoid artificial colors. Meanwhile, Kraft, Mars, Taco Bell, Campbell Soup, and more have all committed to removing artificial colors from their products in the past year or two. Which product types, then, present the greatest opportunities for natural colors? One of the most promising segments for natural colors is kid-centric products, explained Catherine Adams Hutt, PhD, chief science and regulatory officer for Sloan Trends (Aubrey, TX), who presented on the natural colors market at the SupplySide West trade show in October. She shared recent Mintel data indicating that 43% of millennial mothers are interested in products carrying “free from artificial color” claims, compared to just about one-third of U.S. consumers overall. “Moms are the number-one market that’s really going to react to that movement away from artificial [colors] and to natural colors,” Hutt said. That’s why kid-oriented categories, such as confectionery and dairy products, are perfect fits for natural colors. Megan Jacobs, market specialist for colors firm D.D. Williamson (DDW; Louisville, KY), noted that both of these categories are already taking off. “We have seen an increase in requests of about 15% over the last year-and-a-half for natural colors for use in candy/confectionery applications, many of which are targeted toward kids,” Jacobs reported. At the same time, dairy products like ice cream and yogurt are quickly moving toward natural colors, Jacobs said, and DDW has also seen interest pick up in natural colors for the cheese sauces that are popular in meals marketed toward kids. Colorants supplier Lycored (Be’er Sheva, Israel) has also found in its own consumer research that “millennial moms place huge importance on natural colors in dairy,” said Christiane Lippert, head of marketing for Lycored’s food division. Confectionery products are another obvious market, Lippert added, as are fruit snacks and other products aimed at children. Sloan’s Hutt also found cereals to be one of the most promising categories for natural colors, with consumer data released by the Food Marketing Institute suggesting consumers are most conscientious in seeking out ingredients they perceive as beneficial at the beginning of the day. She also pegged dairy products, frozen foods, pet foods, dietary supplements, baked goods, and snacks as strong potential markets. And while many cereal giants have begun moving toward natural colors already, such as Kellogg’s and General Mills, plenty of snack brands are still relying on synthetic colors, according to DDW’s Jacobs. That makes snacks an especially promising segment for growth. DDW has also been looking toward seasonings made with natural colors. 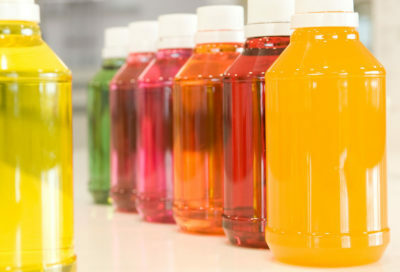 And beverages, with their transparent packaging and wide variety of product types, remain a hugely important category for the colorants market, Jacobs added.